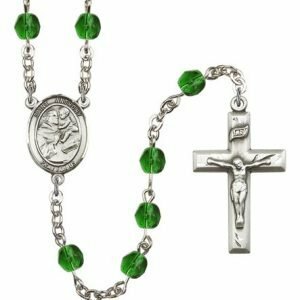 What was it that drew so many people to St. Anthony of Padua? Crowds of over 30,000 people would come to hear him preach, and this was before the comfort of modern transportation! Surprisingly enough, St. Anthony himself had no desire to become a preacher; he would have preferred to spend his days quietly in prayer, hidden away in a cave. So how did he end up becoming one greatest preachers of his age? Though revered as one of the great Italian saints, St. Anthony was actually born in Lisbon, Portugal. 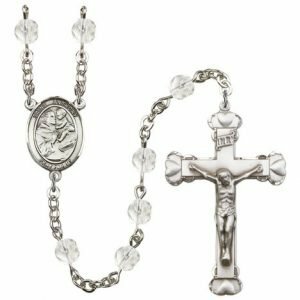 He was baptized under the name Fernando and at the young age of 15, he left the comforts of his wealthy, noble family to enter the Canons Regular of St. Augustine. There he mastered theology and Sacred Scripture, which, although he didn’t know at the time, it would later prove to be extremely useful. He grew in knowledge, but he grew even more so in the order of grace, through prayer and the practicing every virtue. St. Anthony remained with the Canons Regular for several years and he might have remained there the rest of his days had it not been for the five Franciscan martyrs; instead of a St. Anthony of Padua, the Church might have a St. Fernando of Coimbra, and perhaps no one would have ever heard of him. But these five holy martyrs who had gone to Morocco to spread the faith were laid to rest at St. Anthony’s convent. So when St. Anthony venerated their relics, his heart was filled with a holy zeal to join them in martyrdom. Receiving permission to enter the Franciscans, he took the name Anthony and set off for Morocco, hoping to follow in the martyrs’ footsteps. However, God seems to have had other plans for St. Anthony, for as soon as he arrived in Morocco, the saint became sick. As his illness prevented St. Anthony from dying a martyr, his superiors ordered him back to Portugal. He set sail, but Divine Providence changed his course. St. Anthony’s ship ran into a violent storm at sea, which shipwrecked him and threw him onto the coast of Sicily. He landed in Italy at the perfect moment, just in time to join St. Francis and his fellow Franciscans who were gathering in Assisi for a general chapter of the order. After the chapter, St. Anthony wished to stay in Italy and was given permission to join the brethren there. Only, no one knew how educated he was, so instead of being assigned to teach or preach as was fitting, St. Anthony in his humility asked that he be given simple and lowly tasks. His free time, he spent in prayer, his life might have remained hidden, had not the next event unfolded. • As he was preaching, St. Anthony suddenly remembering that he had promised to sing for a mass that was about to start in a nearby church. While remaining in the pulpit of the Cathedral of Montpellier, he was also seen singing in the choir of a nearby convent at the exact same time. 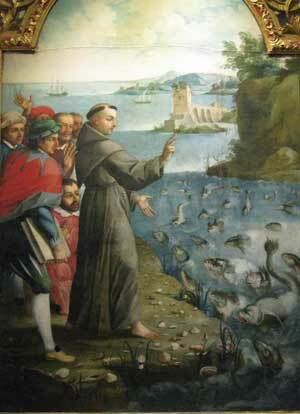 • After crowds refused to listen to St. Anthony’s preaching, the saint then turned and began to preach to the fish in the sea. Thousands of fish poked their heads out of the water and listened attentively to him and responded with reverent bows of the head. • Put to the test by a man who doubted the Real Presence, St. Anthony commanded a mule to bow down in adoration before the Blessed Sacrament. The half-starved mule, given the choice between his feed and the Blessed Sacrament, refused the feed, but instead walked over to the Blessed Sacrament and bent his knees in adoration. • His enemies had tried to poison him, but St. Anthony, discerning their wicked intention, made the sign of the cross over the poisoned food, the food was made harmless by his blessing. He and his companions ate the poisoned food to the astonishment of all. 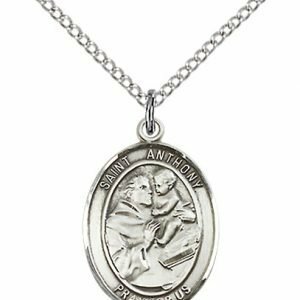 • Even in death, St. Anthony has proven to be a miracle-worker. His body was exhumed 336 years after he died, and although the rest of his body was corrupt, the tongue of the great preacher was found to be miraculously preserved. 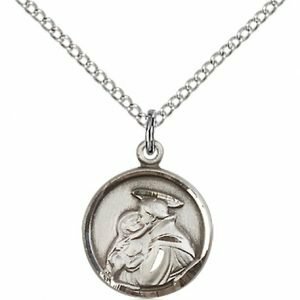 The image of St. Anthony is well-known worldwide, and many people may know a variation of a little prayer asking St. Anthony’s help in finding lost things. But who was this man, and how is it that he is still so loved and respected almost 800 years after his death? 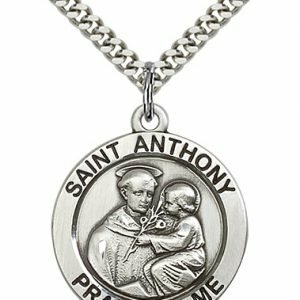 St. Anthony was born in Portugal in 1195, where his father was a captain in the royal army. 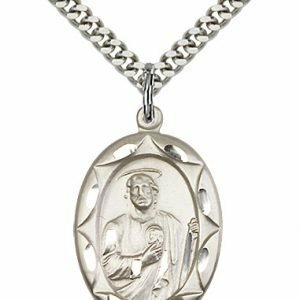 He joined the Augustinian Order as a young man, but left it in order to join the newly-founded Franciscan Order in 1221, at age 26. When he was still in the Augustinians, the bodies of five Franciscan friars who had been martyred in Morocco, North Africa, were brought to the monastery where St. Anthony lived on their way to their burial place. 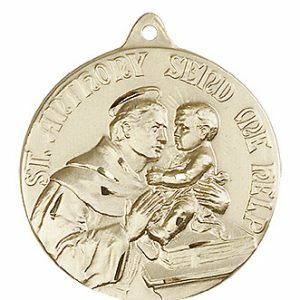 St. Anthony decided he wanted to become a Franciscan in the hopes of shedding his blood for Christ and becoming a martyr, too. He went to Africa to preach; however, he came down with an illness that weakened him for life. 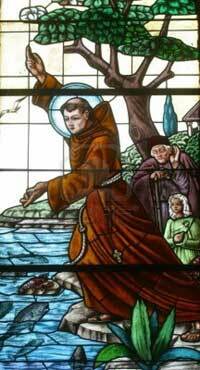 While traveling back to Portugal, his boat was thrown off course by a storm, and he landed in Sicily, where he was welcomed and sent to Assisi to live with the Franciscans there. Given the task of household labors, St. Anthony grew in holiness by doing the menial tasks in a humble fashion. He was never given an education in preaching, and yet, on one occasion, when the priest who was to give the sermon for an ordination ceremony fell ill, St. Anthony was chosen to give the sermon. He agreed to out of obedience, though he had never given a sermon in public before. His eloquence, intelligence, and humility amazed all in attendance, and he was soon given permission from St. Francis of Assisi to go out and preach among the peoples of Padua, Italy. Earning the nickname the “Hammer of Heretics,” St. Anthony was very firm in his great protection for the teachings of the Church, while still explaining them in a simple and innocent manner meant to be understood by all. People would come from miles around and fill churches to listen to him. His teachings encouraged people to reconcile with one another and seek holiness in all their daily tasks. Once when the people would not listen to him, he turned and began preaching to the fishes (which poked their heads out of the water to listen), in an effort to continue sharing the Word of God as his heart was so impassioned to do. His teachings earned him the title of Doctor of the Church in 1946. 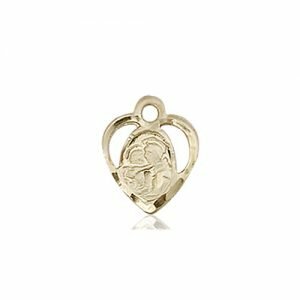 Once while a visitor was staying with St. Anthony, he came upon the saint holding in his arms the Child Jesus, who was beautiful and surrounded with heavenly light. 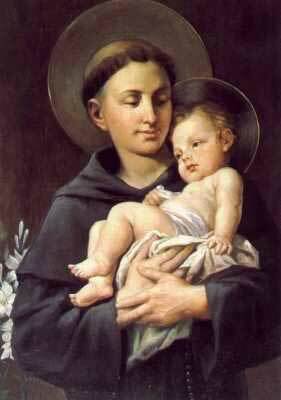 It is because of this event that St. Anthony is often depicted holding the Child Jesus in his arms. St. Anthony died at the age of 36, after living a life filled with taxing labors and a body weakened by illness. Upon his death, the children in Padua went through the streets crying “The saint is dead. 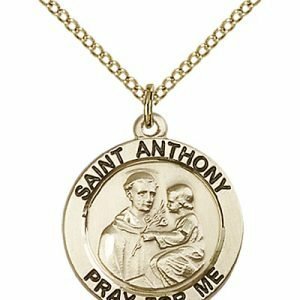 Anthony is dead.” He was canonized a saint one year after his death by Pope Gregory IX. Upon exhumation of his body 336 years after his death, his body was found to be corrupt; however, his tongue was completely intact, symbolic of the great teachings which were formed upon it. So many miracles have been attributed to his burial place that he has earned the title of the “Wonder-worker.” His feast day is June 13. 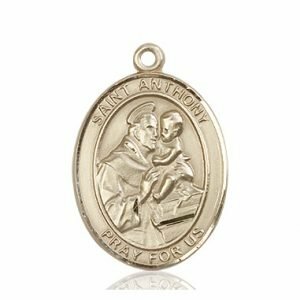 St. Anthony of Padua is known as the patron saint of: animals, the elderly, expectant mothers, infertility, lost articles, the poor, sailors, the starving, travelers, and unmarried women. 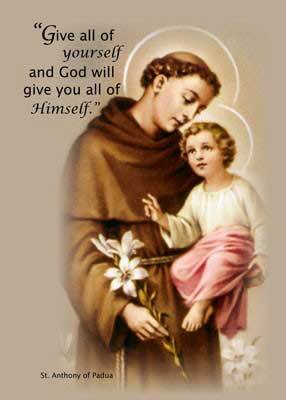 St. Anthony of Padua is often depicted in the brown habit of a Franciscan. His head features the “tonsure,” in which all or part of the hair is removed as a sign of religious devotion and humility. He carries lilies as a sign of his purity, and often holds a book, showing that he is a Doctor of the Church. 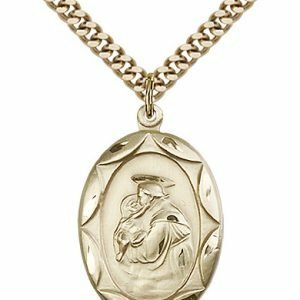 The most common image of St. Anthony pictures him holding the Child Jesus in his arms. 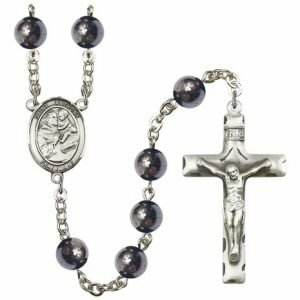 Let Saint Anthony be your partner in prayer as you say one of the prayers below or as part of your rosary devotion. Find Saint Anthony Rosary Beads here. 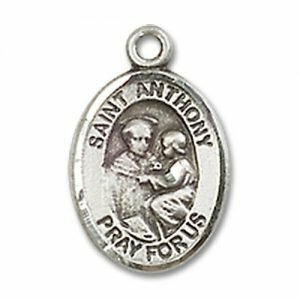 Dear Saint Anthony, you are the patron of the poor and the helper of all who seek lost articles. 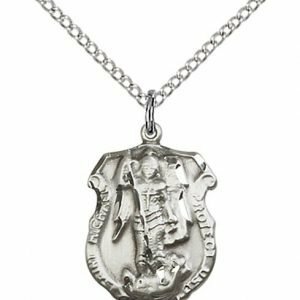 Help me to find the object I have lost so that I will be able to make better use of the time I will gain for God’s greater honor and glory. Grant your gracious aid to all people who seek what they have lost – especially those who seek to regain God’s grace. Amen. 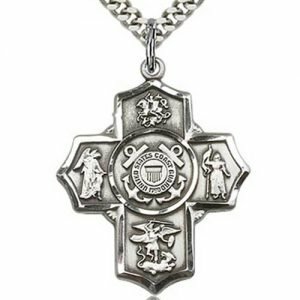 Behold, the Cross of the Lord!